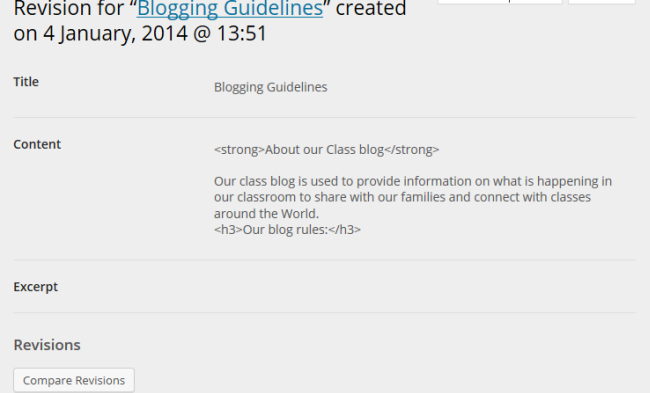 Edublogs stores the last 50 revisions for each page on your blog. Revisions allow you to review changes you’ve made and restore to an earlier version if necessary. This is a handy if you accidentally delete page content or decide you prefer an older page version. A revision is saved each time you click Save Draft or Update. 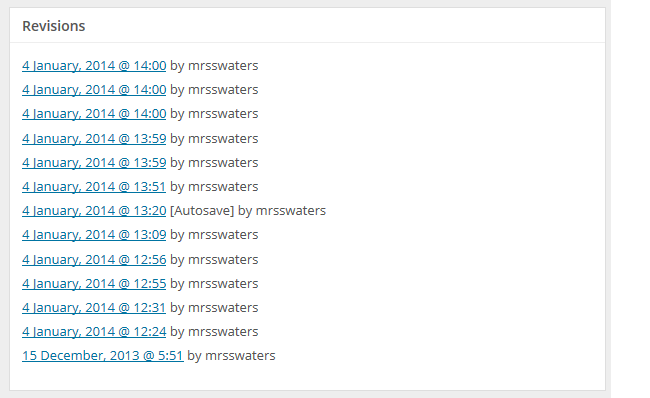 You use the Revision module to view your revisions. The Revision module is hidden by default. 1. Click on Screen Options in the upper right corner of your dashboard when you have a page open in edit mode. 2. Check the checkbox next to Revisions. 3. Once you’ve done this your Revisions module is displayed under your page editor. The revision module doesn’t display until you’ve made some revisions. 1. 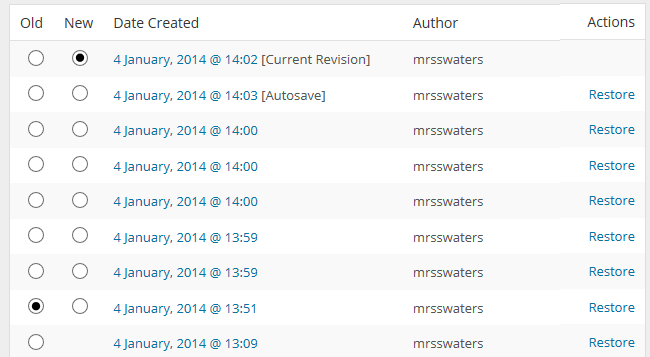 Click on a revision date in the Revisions module under your editor. 2. Click on Compare Revisions. 3. 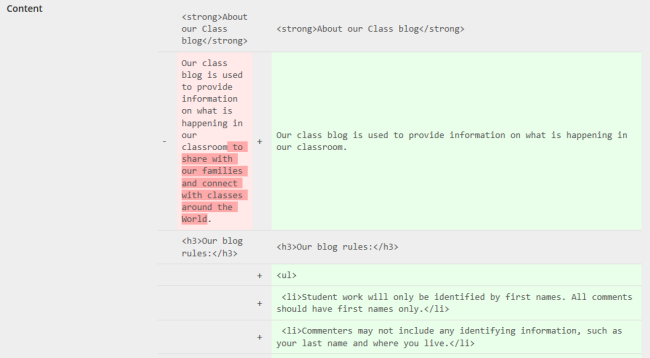 This displays the two versions of your page side by side with the differences highlighted. All you need to do is click on Restore next to the date of a page version you want to revert back to and your earlier page version is loaded into your editor.